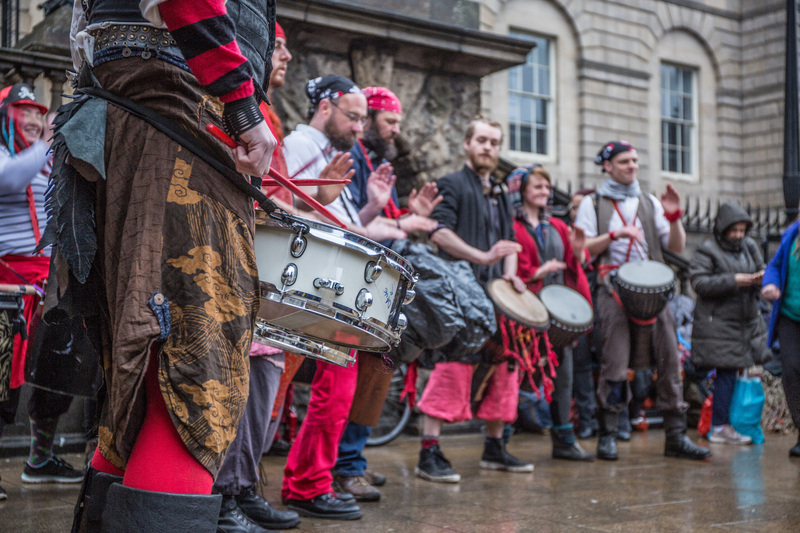 Busk and walkthrough photos…and HAPPY SAMHUINN! Happy Samhuinn! Today is the big day and in honour of everyone’s hard work, we’re sharing some photos of some of the biggest preparation events from the last couple of weeks – the busk and the full-cast walkthrough rehearsals. 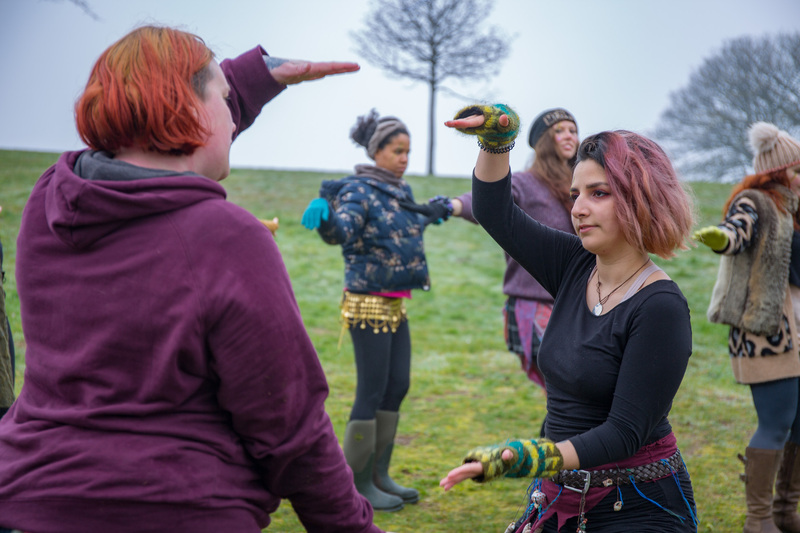 If you’re interested in how hundreds of volunteers rehearse and prepare for the festival, watch this space over the next few weeks when we’ll be showing you some more behind-the-scenes pictures of how we make this thing happen! 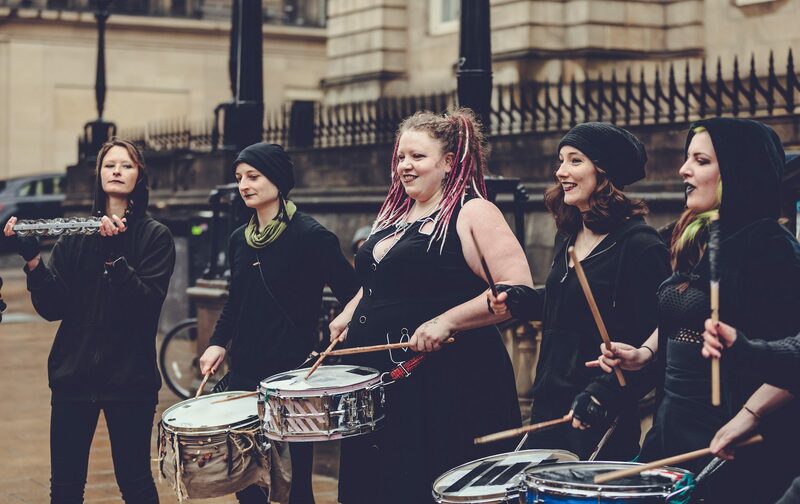 Beltane Fire Society is a charity and we receive no funding whatsoever other than what we can drum up (haha!) ourselves through ticket sales at Beltane, donations at Samhuinn and fundraising activities, like our pre-festival busks. As we are a non-profit, the money we bring in simply goes towards paying for the festivals themselves and the not-inconsiderable year-round running costs of the Society. The busks are also a fabulous way to get a preview of what some of the performance groups will be doing on the night. Walkthroughs are when the entire cast of volunteers rehearse everything we’re going to be doing at the festival in the places where we’re going to be doing it. This is no mean feat, especially at Samhuinn when we have to work around open roads in the centre of Edinburgh! 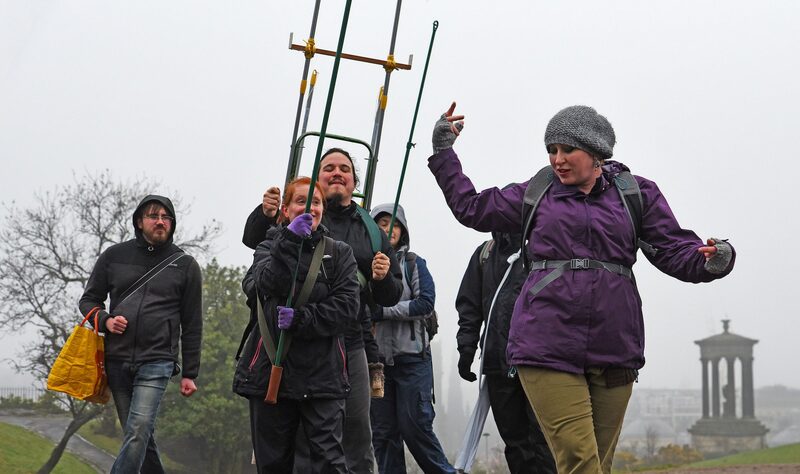 This year, the weather gave us a taste of Winter-to-come at the second walkthrough, which we hope means it’ll be dry tonight…but who knows?